(USAToday) -- While millions of workers used money from their retirement savings to pay expenses during the Great Recession, African Americans and Hispanics dipped into their 401(k) plans at a much higher rate. The rise in 401(k) withdrawals, loans and cash-outs among African Americans and Hispanics represents a major setback for their long-term retirement security, says Mellody Hobson, president of Ariel Investments, co-sponsor of a survey on the recession's impact on retirement plans. 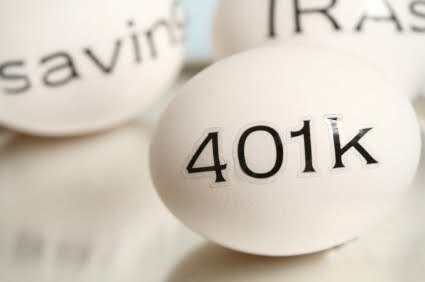 •Nearly 9% of African Americans took hardship withdrawals from their 401(k) plans in 2010, vs. 6.3% in 2007. By comparison, 1.7% of white workers took a hardship withdrawal in 2010, vs. 1.1% in 2007. •Half of African Americans and 40% of Hispanic workers carried a 401(k) loan balance at the end of 2010, vs. 26% of whites and 22% of Asians. While 401(k) loans are popular with employees, they're risky during a recession. When borrowers are laid off, or quit their jobs, they're usually required to pay off the entire balance, usually within 60 days. The majority of workers who leave their employers with a 401(k) loan outstanding are unable to fulfill that requirement and default on their loans. The default rate is even higher for minorities: 80% of African Americans who leave their employers with a 401(k) loan outstanding default, vs. 76% of Hispanics and 71% of whites, the study says. •Two-thirds of African Americans and 57% of Hispanics who left their jobs in 2010 cashed out their 401(k) plan balances, vs. 39% of white employees and 34% of Asians. When workers cash out a 401(k) plan, they typically have to pay taxes on the balance, plus a 10% early-withdrawal penalty if they're under 59½. The higher rate of 401(k) loans, withdrawals and cash-outs reflects the disproportionate impact of the recession on minorities, says Pam Hess, director of retirement research for Aon Hewitt, which co-sponsored the survey. In 2010, the unemployment rate was 16% for African Americans and 12.5% for Hispanics, vs. 8.7% for whites, according to the Census. Still, cash-strapped workers should view their 401(k) plans as a last resort, Hobson says. "Without serious attention and significant aggressiveness in savings, I don't know how you get back on track," she says. For some reason, this particular article rubs me the wrong way. I understand it and perhaps the reason for the difference among the groups is perhaps less of an emergency savings for blacks and Latinos. What I don't like, however, is the inference that those dipping into their 401ks have not exhausted all other resources or that they have not considered the consequences of borrowing their own money. The minorities suffered the most during this "great recession" in terms of their 401K withdrawals simply because they generally had lower net income and it's not fair to blame it on the government because even other minorities, Asians for one, are affected but not to the same extent as Africans and Latinos.